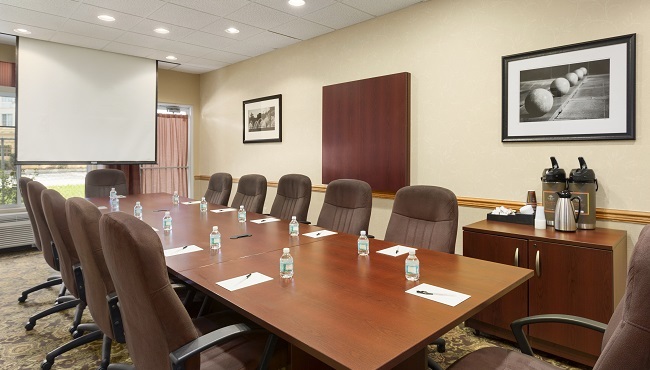 Whether you’re hosting a business meeting, baby shower or birthday party, you can find the perfect venue at the Country Inn & Suites, Ocala, FL. Choose our welcoming boardroom for gatherings of up to 20 people or our breakfast room when hosting up to 25. Our professional staff can help you arrange every detail, from audiovisual equipment setup to assistance with local caterers. We also offer free Wi-Fi and a personalized Web page to keep your guests up-to-date on event details.